Season 2 of the Netflix series Jessica Jones in one small line may have foreshadowed the next phase of the Marvel Cinematic Universe – Secret Invasion. Jessica is interviewing potential clients at the very beginning of the season and a woman comes in and declares human-skin-wearing lizards. Boom. Jessica writes her off as someone who has lost a grip on reality, but this could instead be a preview of Phase 4 (or whatever they decide to call the MCU AFTER Avengers: Infinity War). The Secret Invasion storyline that ran through Marvel Comics in 2008 was one of the most complicated and intricate the company has done and would seem a fitting follow-up to Infinity Gauntlet. But that may be the only superhero-y thing in Jessica Jones Season 2. Sure there’s some violence, people dying, and bodies flying through the air, but Jessica’s second season is really more of a character introspective. The tension in the show is about the direction each of the characters is headed in their lives whereas last season centered on one big bad baddie, David Tenant’s Kilgrave. There is a mystery to uncover in Season 2, but that’s pretty much resolved half way through. What’s interesting is the show becomes even more intriguing AFTER the mystery is solved. 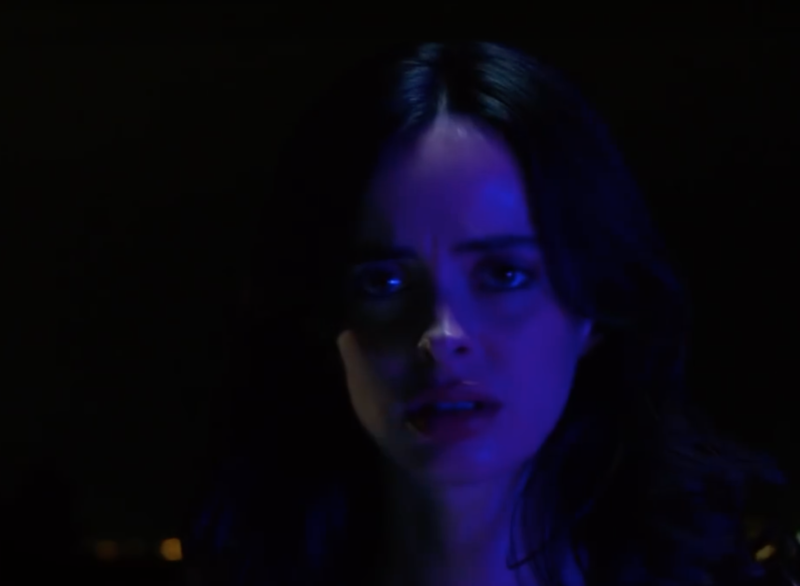 Krysten Ritter is once again excellent at portraying Jessica’s complex hard-nosed, detective with superpowers. Carrie Anne Moss’ role is expanded this time around and she adds another layer to the sophisticated story of Jessica’s life. Eka Darville’s Malcolm also steps up to fill a much more significant role and does so convincingly. The only one I was disappointed in was Rachael Taylor’s Trish Walker who seemed wandering in this one. Her character’s struggle seemed to come out of nowhere and she seemed oddly obsessed with supposedly trying to help Jessica while following her own agenda. Strangely missing is Luke Cage. Foggy Nelson makes an appearance in his new role as a lawyer working for Jeri Hogarth. Kilgrave does haunt Jessica a few critical times in the season – making you wonder if he really is gone? – but otherwise he is absent also. Instead, some new faces show up. J.R. Ramirez as Oscar Arocho is a charming complimentary character for Jessica, taking Luke’s place as love interest. Terry Chen as Pryce Cheng plays a confusing foil to Jessica. For some reason (could the motive really only be money?) he wants to eliminate the competition and goes to great lengths to do so. But his character is intriguing. The writers make it easy to see his motivations and like almost everyone in this season, they have multiple motives that help to empathize with each. There are few “good” guys or “bad” guys here which makes for compelling storytelling. The problem with classifying Jessica Jones as a “superhero” story is there are expectations that come along with that – for good or not. If you’re hoping for Avengers on a small screen, you’ll be disappointed. But if you’re looking for a good story with depth and intrigue, Jessica Jones is right for you. Curious about Season 1? Read our review.